I hope you enjoyed Boolprop's 13th birthday celebrations, I know I sure did. Julie did such a fantastic job hosting them, please be sure to thank her and show her some love for all the hard work she's done and is still doing as we enter into the Holiday season... that's right, it's time for Boolprop Christmas Events! In other news congratulations to all of the NaNoWriMo participants from last month. We did a fantastic job and it was one crazy month of writing, events, and more! Read the rules: Here! Or support others in their challenge: Here! Laugh your guts off at a chapter's hilarity? Cry at a moving moment in a story? Really like someone's picture-taking abilities? Give that someone a Kudos today! Click here! They won't know how awesome you think they are unless you tell them! graymondaysleep celebrated ONE year on Boolprop with The Literal Booker Legacy on November 11th! John & Nancy (Baby) Boomer(s) by cynicalbadger celebrated ONE year on Boolprop on November 13th! Snazzle's story Multiplying Murdles celebrated ONE year on Boolprop on November 15th! Mojot89 celebrated ONE year with Here Comes the Boom on November 18th! Pony's Veda (Hollywood ruleset) celebrated ONE year on Boolprop on November 19th! The Leaf Baby Boom by itsjulie celebrated ONE year on Boolprop on November 18th! Lenore and Chad: Baby Boom by gretski6 celebrated ONE year on Boolprop on November 29th! 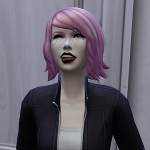 Annabelle the Immortal Teen, by Jenn, you've been noticed for being the first to complete the Immortal Teenager Challenge! Congratulations and great work! Hickey TPC by Teresa, you've been noticed by somebodysangel as being, "Hilarious and oh so perfectly shot, Tamilyn is a brilliant example of the reason the challenge was created." 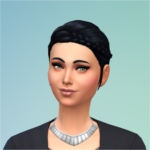 And to nicholaplaysthesims for also completing the Immortal Teenager challenge with veronica triskaideka the immortal teenager! Great job! Also to Snazzle, what a perfect tome to completely your Multiplying Murdles! Congrulations! I'm sorry if I missed anyone, please let me know! Congratulations to everyone and the hard work they put into their stories every day! If you know someone who's doing something awesome, PLEASE help me out and write something nice that I can share here! With as busy as I've been, I won't know when someone's done good things unless others let me know! Thanks for being the awesome forum I love! Have a Happy Holidays, everyone! Thanks for all your hard work, Livvie!! Thanks for the kudos - Tamilynn and Bella are honored to be included in this month's newletter. Yes congratulations to everyone who did Nano!